Change is an essential part of the growth of a company and it’s your job as the CEO to make sure that you develop a culture that is open to it. You have to be intentional about that change though, take the time to explain the changes you’re making, and explain the why behind your decisions. If you want your company to continue to grow, you have to be open and transparent about the changes your company is making. Most people try to avoid change as much as possible. Change is hard. It takes you out of your comfort zone and interrupts your routines. But if a company doesn’t change, it will die. When you try to force change on your company without clearly communicating the thinking behind those changes, the how, and the when of the change, you will be met with more resistance. 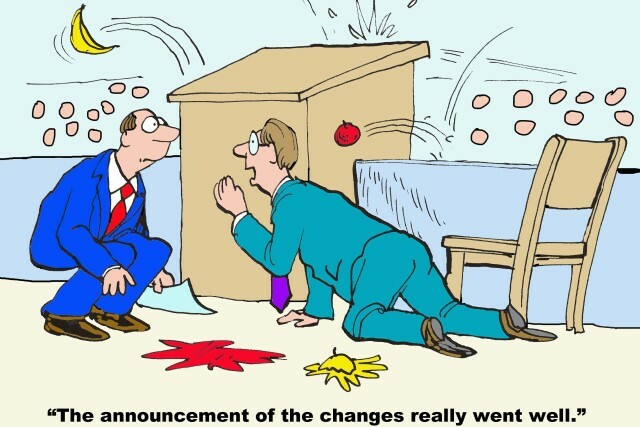 Employees will dig their heels in and avoid the change. Overcoming the resistance to change is possible. Employees who are resisting change are really resisting the unknown. People fear the unknown because it messes with their equilibrium. Taking the time to explain your decisions and the thinking that went into them will remove this fear. Once employees know where you want to take the company, why, and what benefits the change will bring, they’ll lower their resistance and become productive members of the team again. You should air on the side of over sharing. You can’t assume that people heard or understood you the first time around. Create a monthly meeting where you can address the company, share updates, receive feedback, and answer any questions about the changes happening. Be open and transparent. Don’t try to hide any issues that arise, instead ask your employees for help solving them. If they can be a part of the solution, they’ll be even bigger champions of the change.